The knotcraft and hand weaving used to create traditional patterns stems from Native American handcrafts, particularly from Central American tradition. 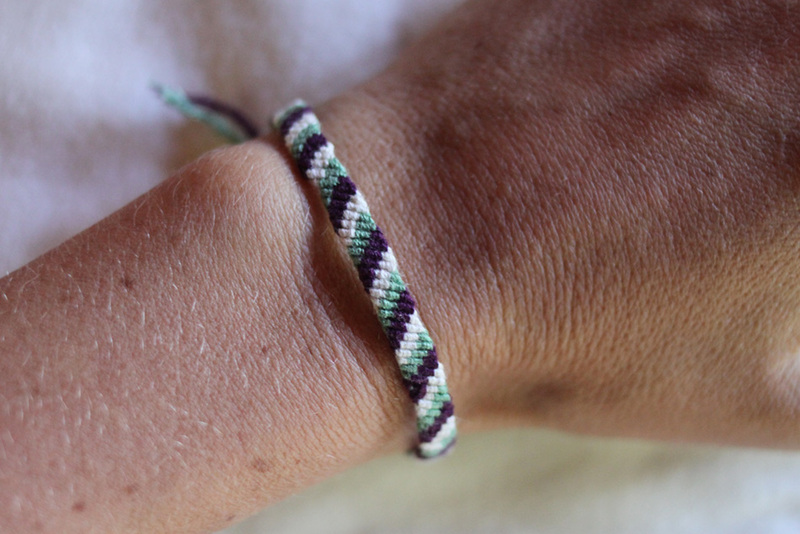 According to indigenous tradition, the recipient of a friendship bracelet must wear it until the cords wear out and fall off naturally. The idea is that the friend paid for it with the hard work and love that made it, and the recipient repays the friend by honoring the work. Removing the bracelet before it naturally falls off is a sign that the friendship has gone sour. Another variation of this tradition is that the recipient of a bracelet is entitled to a wish. After the bracelet wears out and falls off naturally, the wish will come true.